Welcome back to The Six-Digit Club, in which we take a look at a newish-to-market listing priced under $1 million, because nice things sometimes come in small packages. Send nominations to the tipline. 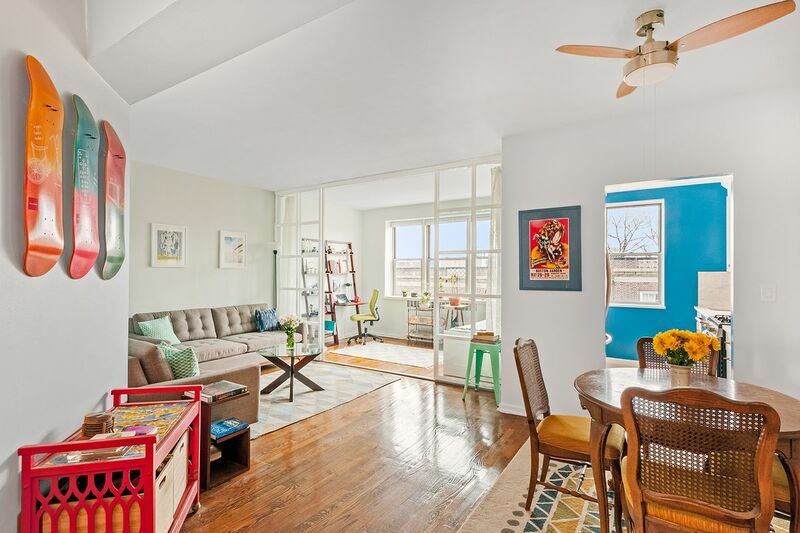 When it comes to New York City neighborhoods where you can still get a decent amount of space for a not obscenely high amount of money, Jackson Heights is always a good contender—and this big and airy one-bedroom, asking $448,500, is proof. Though it’s only a one-bedroom, the space is big—950 square feet, to be precise. One thing it’s not lacking in is closet space; the bedroom (which is large in and of itself) has two, and there are two more in the common area. 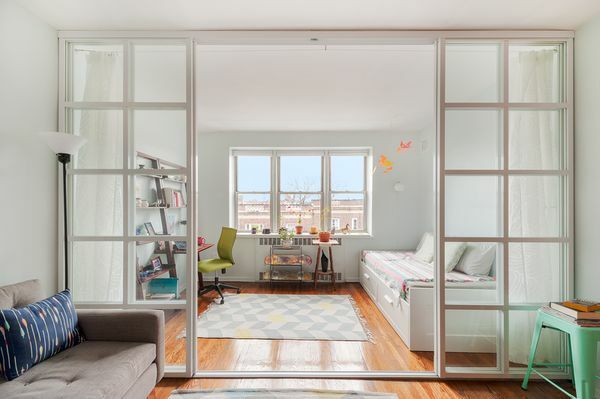 That space has been divided with a set of glass doors, so there’s a separate area that could be an office or a guest room (just invest in some curtains if you’re going to use it for that purpose). 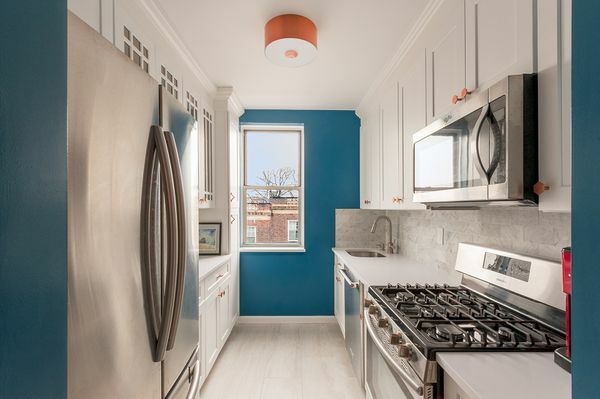 Since it’s located on the top floor of the building, the apartment gets plenty of light; there are also plenty of windows, including one in the sleek, renovated kitchen. The apartment is located within the Monroe, a midcentury co-op building that’s located right in the Jackson Heights Historic District. Maintenance comes in at $824/month, and building amenities include laundry, bike storage, and a communal garden.